For Yule's notes. A treasure-house. Dry but a very interesting peak into the past. 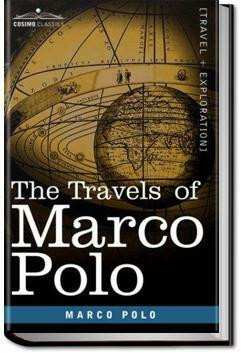 The account of Marco Polo's travels through Asia dictated to another while he was in prison in Venice. There is actually very little Polo in this work. The first third is introductory material, and there are 2-3 pages of gloss for every page of Polo's actual text. I think Marco polo is exaggerating somewhat when talking about the Great Kaan, Is it intentional?. Plus I think he doesn't like Arabs "Saracens" as he calls them. Interesting content, utterly boring presentation. Absolutely fascinating. Much easier to read than I thought it would be. "Better carry the weight of a backpack than carrying the weight of not exploring the world"
If you want to read The Travels of Marco Polo, this is the edition to go with. A ton of added info, including background and fact checking.